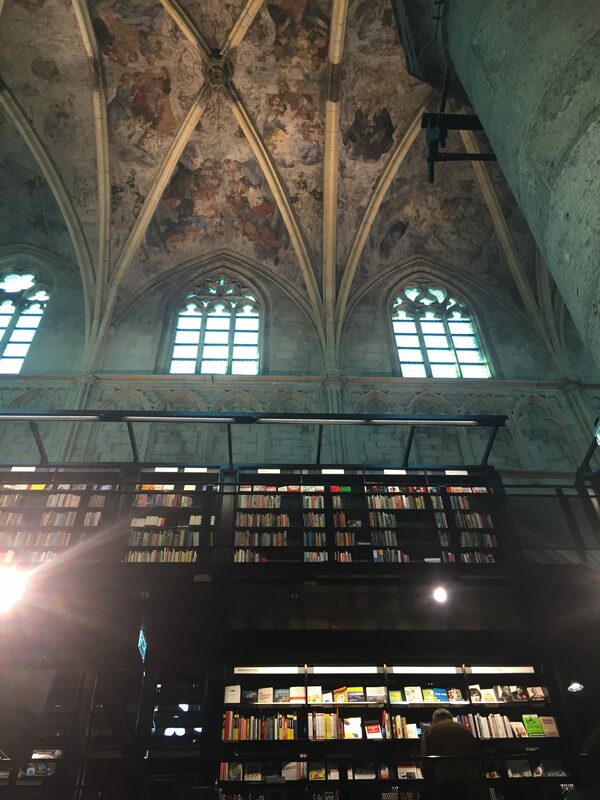 You’re browsing through Pinterest and you think “I have to go there.” As it turns out quite a few of these incredible sights are easy to reach from Delft. Here are a few I’ve had the chance to visit and how you can visit them too. 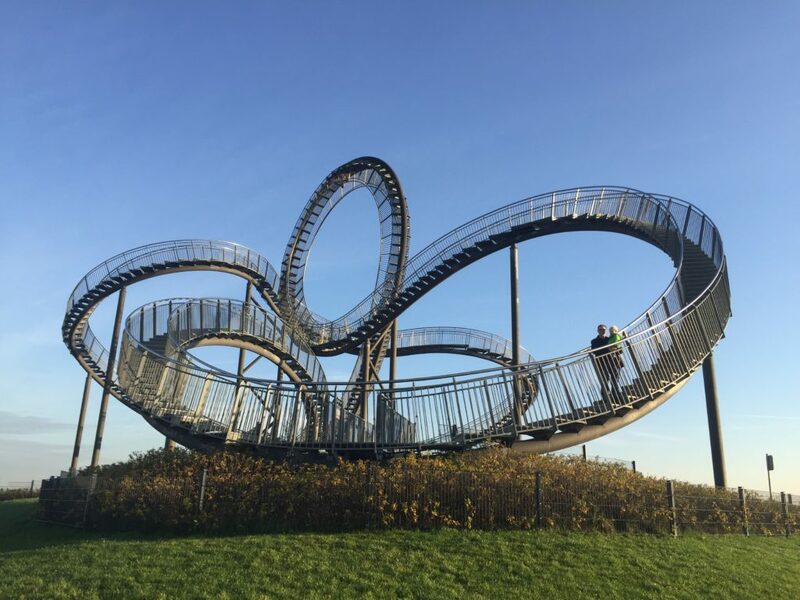 This piece of public art is officially called ‘Tiger and Turtle Magic Mountain.” You can walk all but the loop, which is gated off. At night it is lit by LED lights in the structure. Walking the structure is incredibly cool as your mind wonders about which way the path will take you. Find out more here. 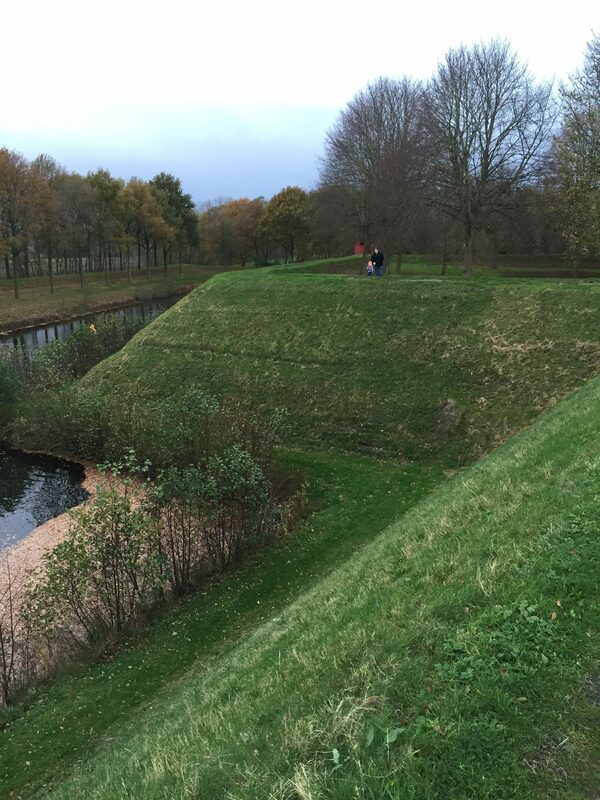 The sunken bridge was put in place as part of the renovation of Fort De Roovere. The bridge allows access to the fort without changing the view or design. When you are on the bridge you are below the waterline, yet you stay completely dry. There is plenty to do hiking around the fort in addition to the bridge which makes it worth the visit. Find out more here. 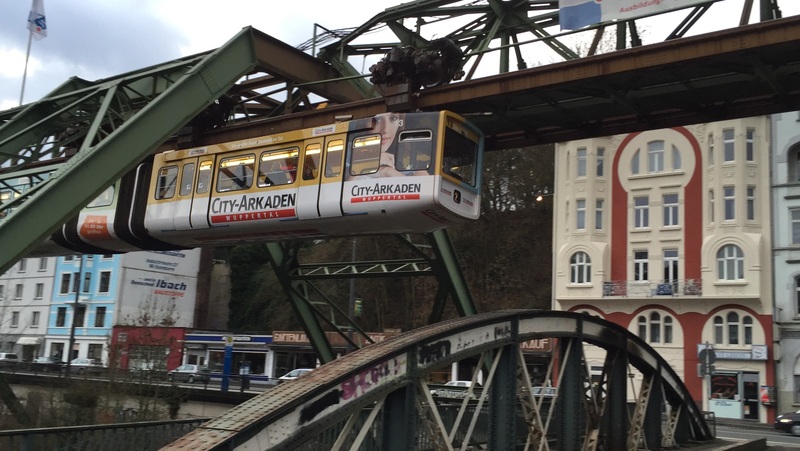 The Wuppertal Electric Elevated Railway hangs from its tracks as a space saving design. It runs right down the river meaning it took up none of the city’s precious riverside land. It is the oldest of its kind in the world. 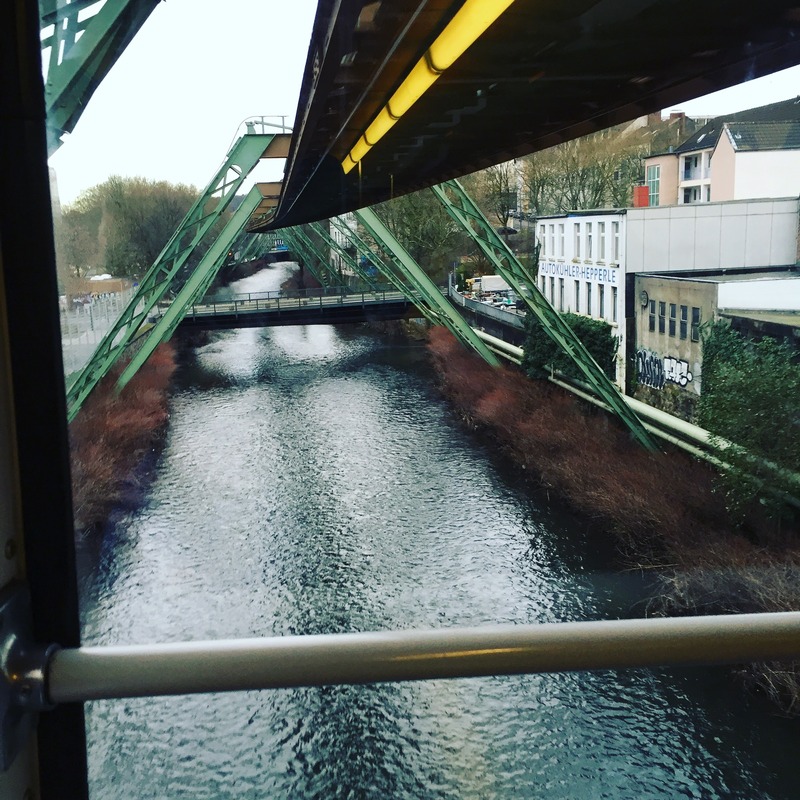 It is Wuppertal’s public transportation system so hopping a ride is incredibly easy and super fun. There is even an audio guide you can download and listen to on your ride. Find out more here. Geithoorn Netherlands is a small town largely without roads. Instead a system of canals and bridges connects the village. If you go in the off-season you can rent an electric boat (no license required, ~ 25 Euros/hour) and enjoy the pristine quiet of this village. If however, you go any day with nice weather you will find yourself surrounded by incompetent boaters. Start out early and head out into the lake for a lovely view and more space. Walking the bridges can be equally as picturesque if you don’t want to take to the water. Find out more here. The star shaped Fort Bourtange sits on the German border. Inside remains a small town complete with hotel, restaurants, museums and shops. Crowded during the day it is virtually empty in the evening. You can walk the fort walls and look over the land. Cannons, a windmill and even toilets that dump into the moat have all been preserved. It’s incredible to walk the walls while following yourself on Google Maps. The Dominicanen Bookstore is built inside a 700 year old Dominican Church. The bookstore has a cafe and a variety of exhibitions. It’s worth popping in to see books stacked to the ceiling of this former church. It’s the sort of place you’ll want to browse and hang out a bit. It certainly kicked off my love of weird European bookstores. Find out more here. 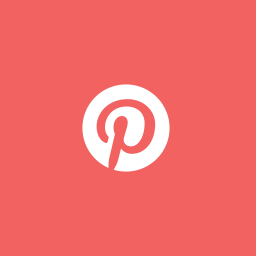 Share your Pinterest travel finds with DelftMama here. You can also see more crazy Pinterest travel finds on my travel blog, Dutch, Dutch Goose! With busy schedules it can be difficult to find time for a big trip. Work and school schedules often mean travel is limited to peak times. 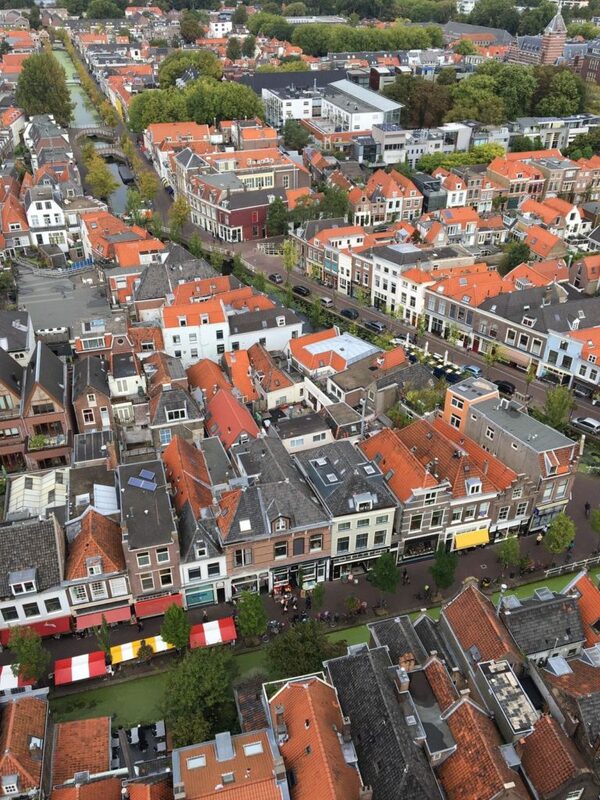 Luckily, from Delft, there are many places you can escape for a quick weekend trip. Here are five ideas that allow you to leave Saturday morning, spend one night and come home on Sunday. Obviously if you can get away on Friday afternoon you’ll have more time to enjoy your getaway. Texel is the largest of the Netherlands barrier islands. It is a 2-hour drive by car or a 4-hour trip by public transport, which includes the ferry ride to the island. Although Texel is popular for a summer visit, a shoulder season visit gives you a quiet island if you don’t mind wearing your coat on the beach. Once you’re on the island rent bikes and enjoy the sheep and pristine nature. Stay at the Grand Hotel Opduin to be engulfed by the Dunes of Texel National Park. Visit Ecomare to learn about the seal rescue and protection the island plays a huge role in. The Shipwreck Museum has a playground and treasure hunt for kids. 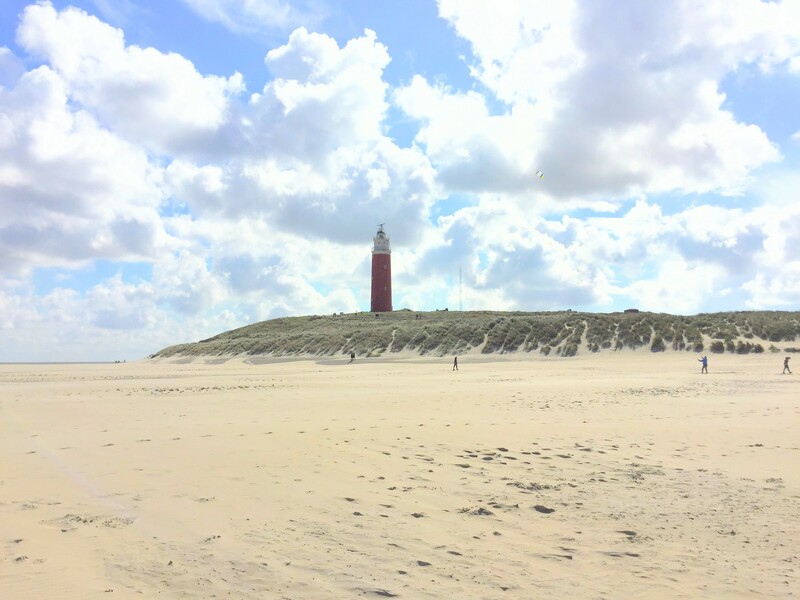 Make the short hike to Texel’s Lighthouse and enjoy the strand below. 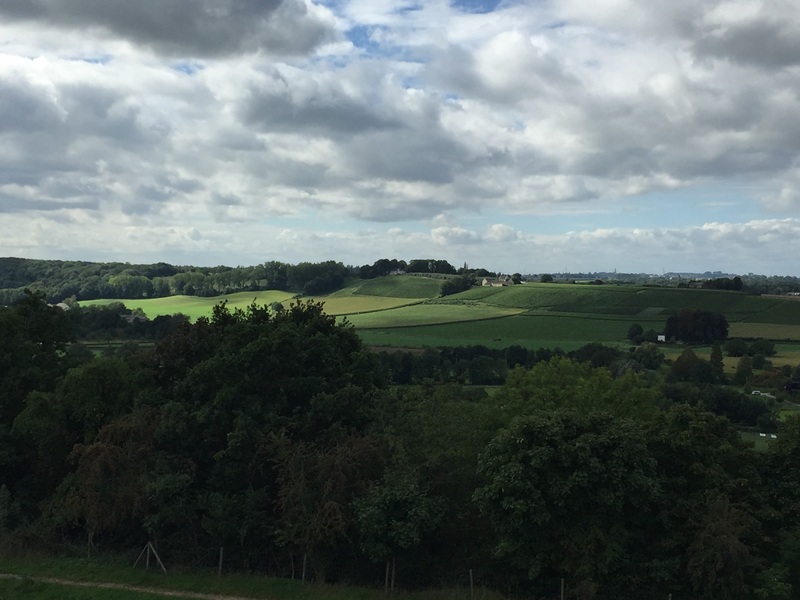 You won’t want to miss a visit to the Sheep Farm where, after visiting the sheep, you can delight in some cheese fondue and sheep’s milk ice cream. A visit and tour of the Texels Brewery is a must. The island has many restaurants, beaches and bars so you won’t go hungry during your visit. Bring your bike along or rent one on the island to really take advantage of the scenery. The capitol of Belgium is full of fun for the whole family. Two hours by car or train will put you in the city for the night. Stay at the Train Hostel for a fun night. Next door, Train World will captivate children and adults alike with fun displays of trains throughout history. 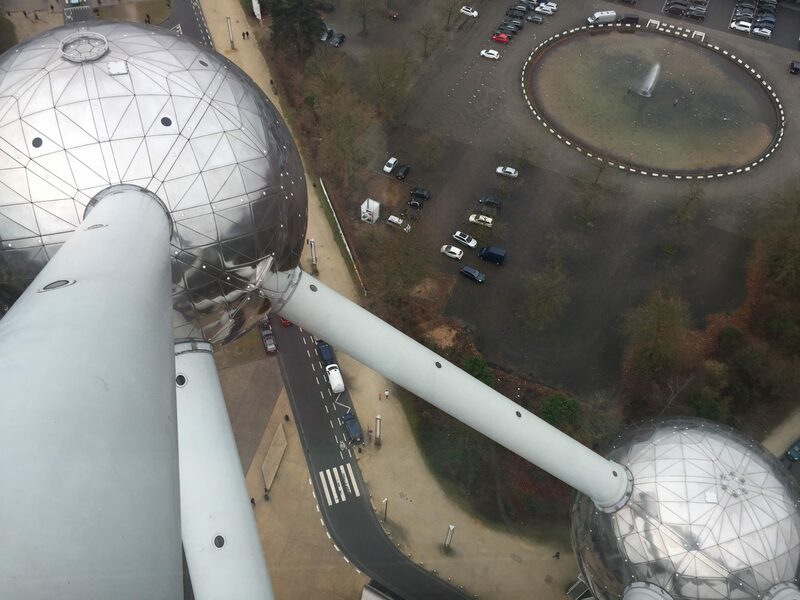 Visit Atomium and climb to the top for views of Brussels. Mini-Europe is a fun day out and easily combined with Atomium and the water park Oceade. Children delight in the Manneken Pis statue. You can also enjoy the Comic Strip Center, Museum of Natural Sciences, Musical Instrument Museum and the Children’s Museum. A 3-hour drive or 3.5 hours on public transportation (NS to Utrecht, ICE to Cologne) will land you in Cologne, Germany. 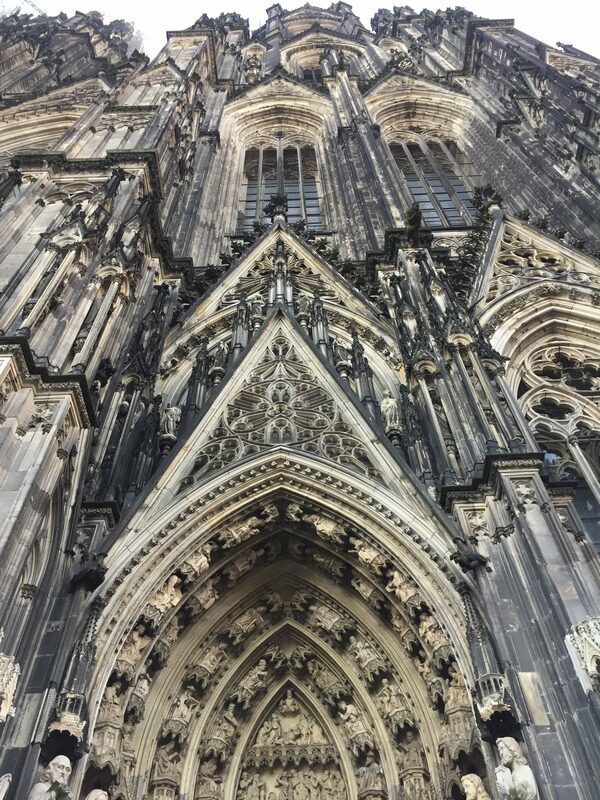 Enjoy the city by climbing to the top of the Cologne Cathedral. 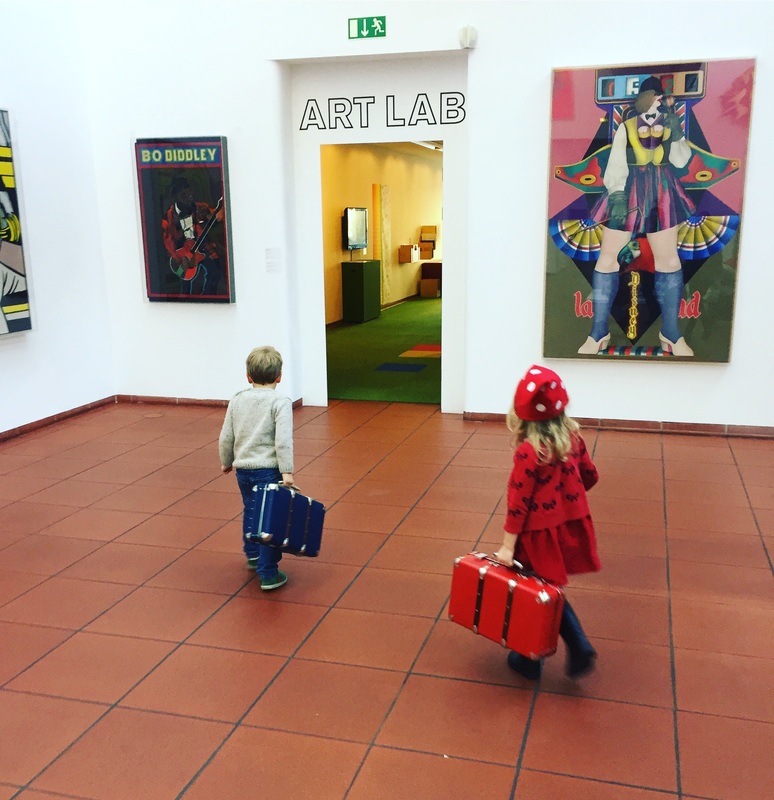 Visit the Museum Ludwig where kids can check out suitcases to explore different elements of art. In good weather visit the botanical gardens or the zoo. Ride the Cologne Cable Car over the river for great views. The Lindt Chocolate Museum is a must for all visits to Cologne. In the summer you can rent bikes or cruise the river and in the winter the vast squares are turned into Christmas markets with a skating rink that runs the length of one of the streets. 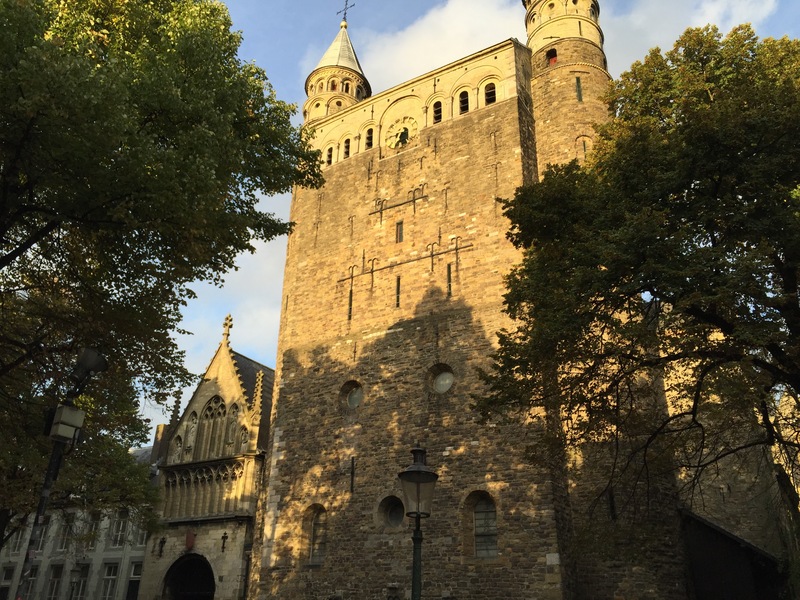 Maastricht is 2-hours by car or 2.5 hours by public transportation. The funky Town House Hotel is our favorite place to say although the Kruisherenhotel, built into an old church is also a good bet. 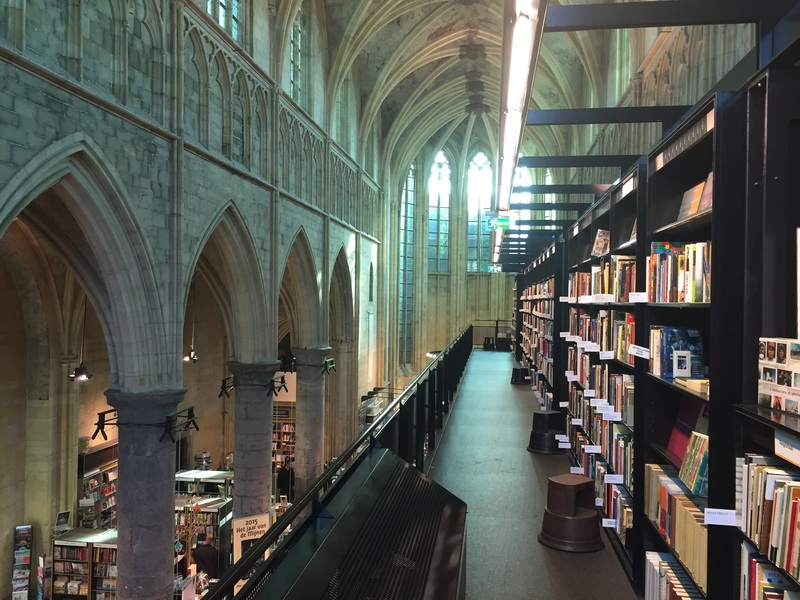 Maastricht is full of things to explore from the bookstore inside an old church to caves below the city. 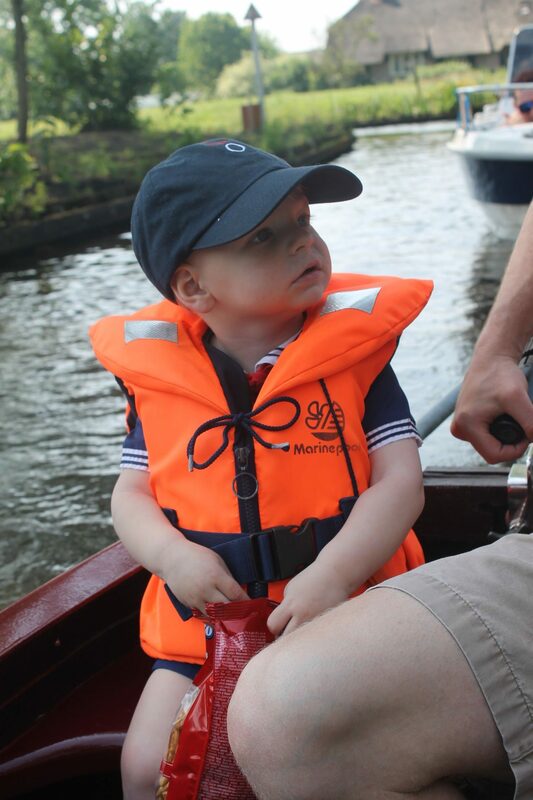 There are river cruises of varying lengths, which our little ones loved. 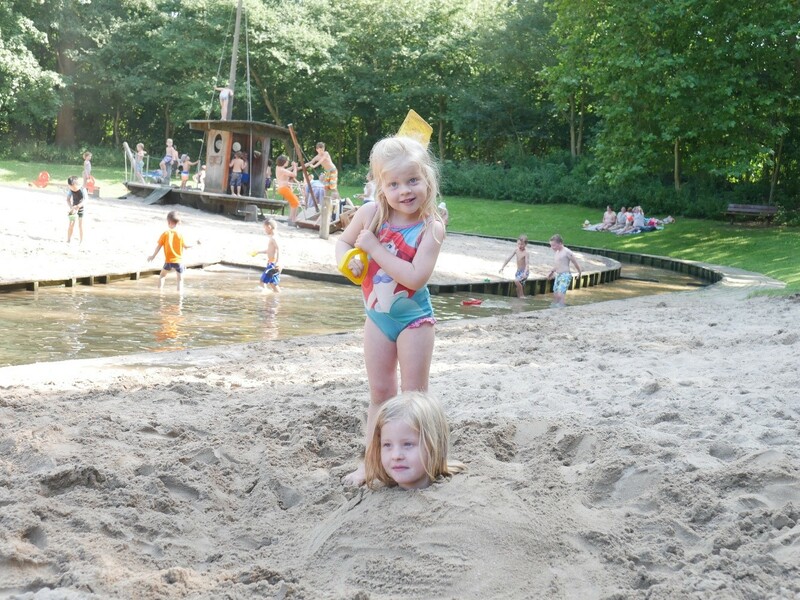 We’ve found a few great playgrounds like Frans van Speeltuin and Speeltuin Fort Willem. 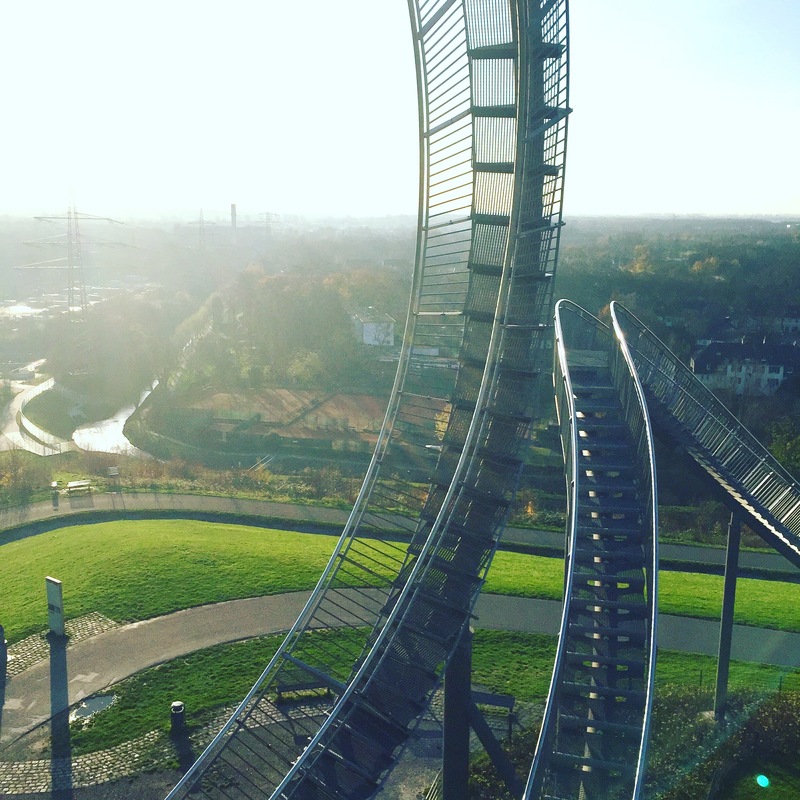 You can also head over to Valkenburg, which is a bit touristy but has a fun alpine slide and a few other great kids activities. This campground in Belgium has everything you need for a weekend of fun. Unlike other camping setups, Center Parks, De Vossemeren allows you to book just a few nights so you can do a one or two night stay instead of a full week. The cabins are arranged around several lakes. 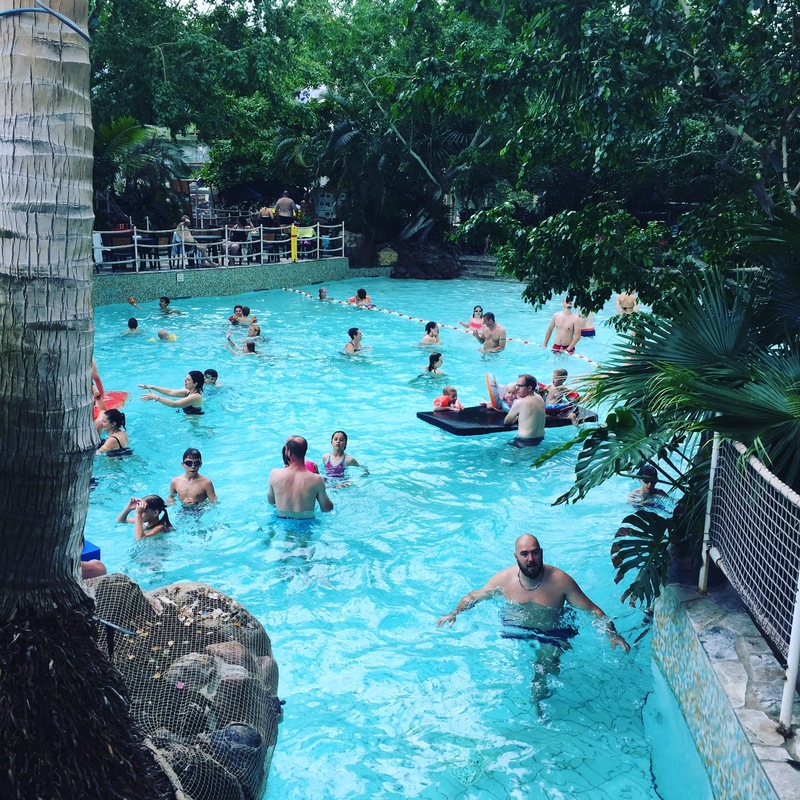 The campground has pools, mini-golf, bowling, playgrounds. . .basically everything you need for a weekend away. There are restaurants on site or you can cook up food in your cabin. It is an easy get away and they often offer “last minute” deals The campground is a 2-hour drive from Delft. 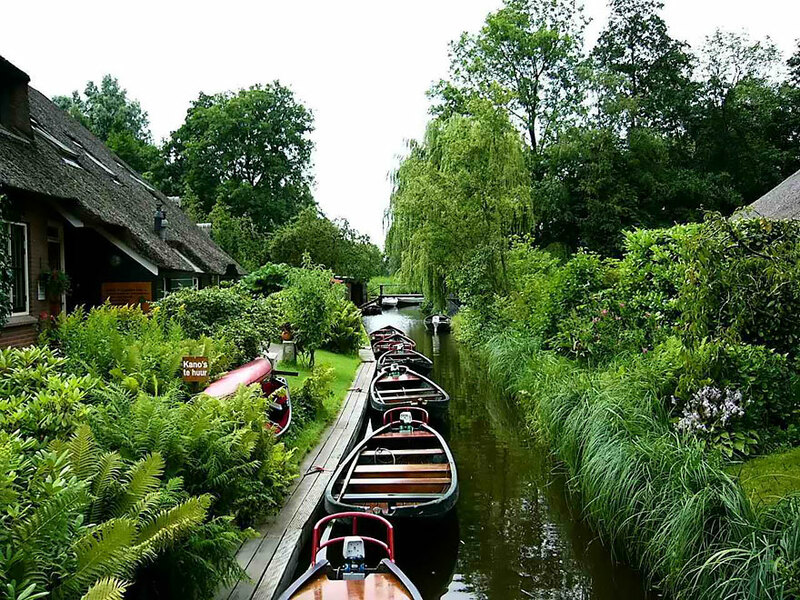 If you’re looking for a way to get away, without actually getting away, enjoy these five ideas for a staycation option in Delft’s backyard. They are all accessible by public transportation and host more than enough activity for a weekend stay. The Delftse Hout campground is located in the woods to the east of Delft. It is an easy option for a quick staycation. The campground has a variety of lodging options from camping to cottage rental. The campground has a playground, pool and restaurant. With its woodland location you’ll feel like you’ve left the city, despite the fact that you can ride your bike to your staycation. 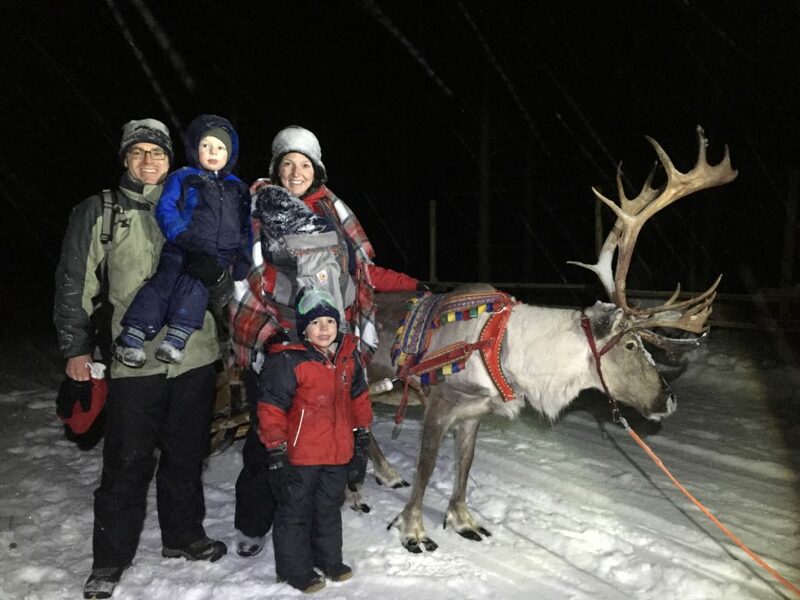 If the campground entertainment isn’t enough, there is a weekend full of activities within walking distance. Head next door to the Stadsboerderij petting zoo and water playground or across the street to De Papaver Delft nature center. Walk to Cafe du Midi for a bite to eat and some playtime with the goats in their petting zoo. Knus, also just a walk away, has food, a playground and boats to rent. 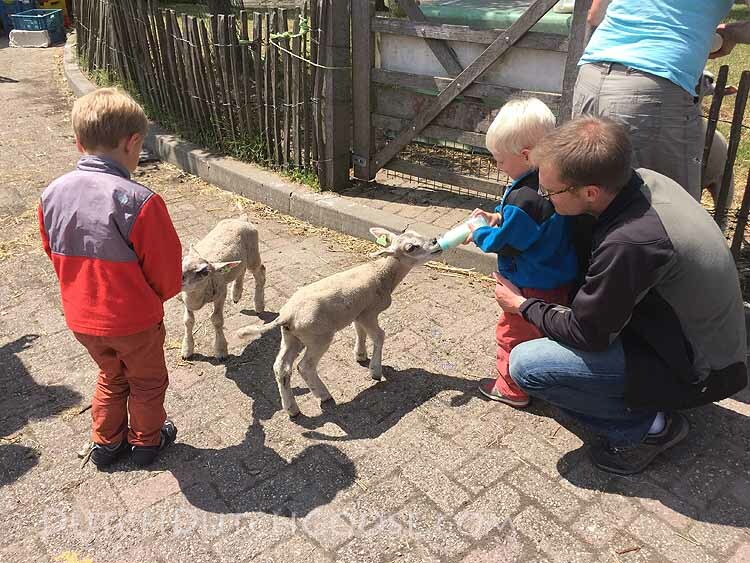 Hoeve Biesland is another perfect outing to see the farm animals and maybe pick up some fruit and veggies for dinner. You could also put together a picnic at this farm by purchasing a loaf of bread, cheese and some fruit. Stay aboard the S.S. Rotterdam, the former flagship of the Holland America Line which is now a hotel docked in Rotterdam. The cruise ship hotel has themed rooms, several restaurants and lounges and even a pool, all overlooking beautiful Rotterdam. The S.S. Rotterdam is easily reached by car or public transportation from Delft. When you tire of relaxing on board, you can take one of the tours of the ship. There is even a kids tour offered. Head to the Maritime Museum where exhibits are kid-friendly, including outdoor ships to tour and an indoor/outdoor playground on the roof. Pop into the Markthal for a quick snack or a full meal. 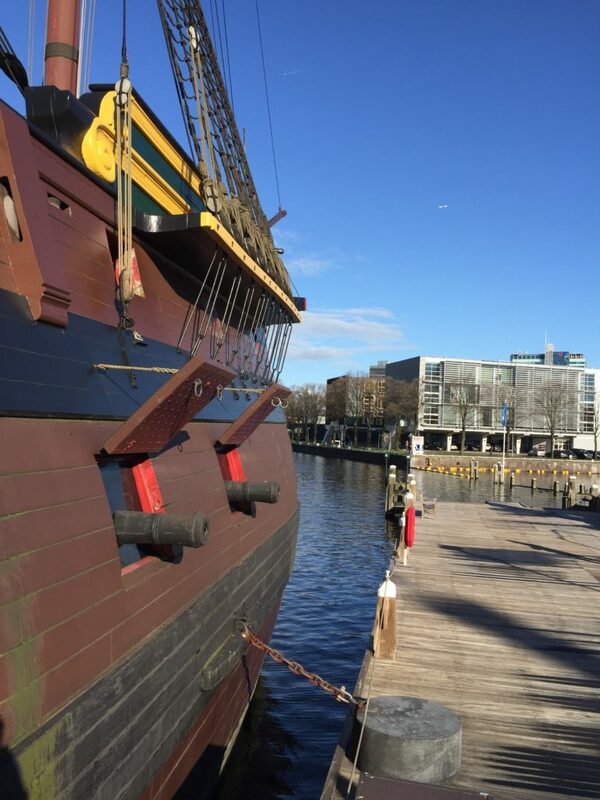 Take the Pancake Boat for a tour of the incredibly busy Rotterdam harbor while your kids play in the onboard ball pit and eat as many pancakes as they can. You can also take to the water in an amphibious bus with Splash Tours. 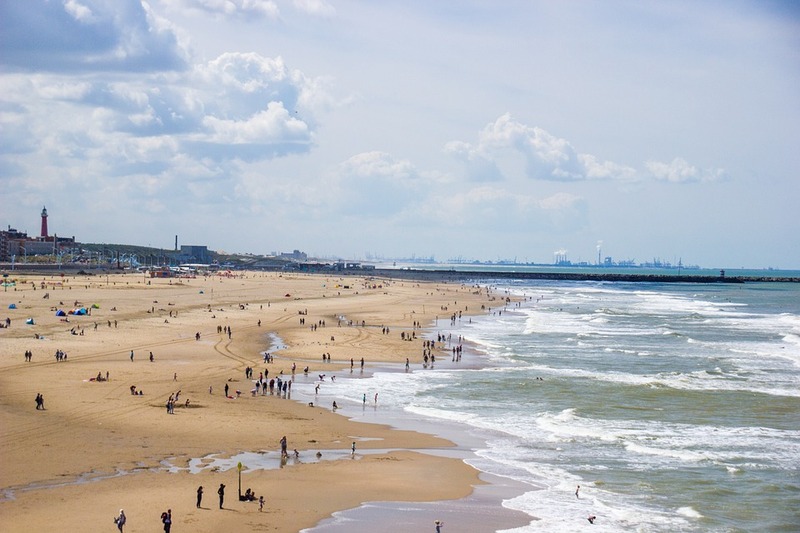 If the North Sea is calling your name head to Scheveningen for a weekend away from Delft. Try the Carlton Beach Hotel or the Bilderberg Hotel, which both have family-friendly room options. Scheveningen can easily be reached by car or taking Tram 1 from Delft. At Scheveningen, you have a pristine beach to enjoy for your visit. You can also check out the SeaLife Center, Fairytale Sculptures by the Sea, or one of the many attractions on The Pier. A short tram ride away is Madurodam, Netherlands in miniature, which has plenty to entertain the kids for a day including several large playgrounds. Museon, GEM Museum of Modern Art and the Omniversum IMAX theater are all a short tram ride away as well. The Pathe movie theater offers more English options for kids than its counterpart in Delft. If you’re a World War II history buff, you will want to check out the Atlantic Wall Museum, which explains the bunkers that line the coastline of much of Europe. Hop beach clubs checking out the menus and variety of kids entertainment from trampolines to playgrounds. There is nearly always something going on down on the beach. Hop the train to Amsterdam and spend a weekend exploring the ‘big city.’ Sure you can pop up for the day, but it’s fun to get away and really experience the city. Consider staying in a House Boat Hotel for a unique experience. 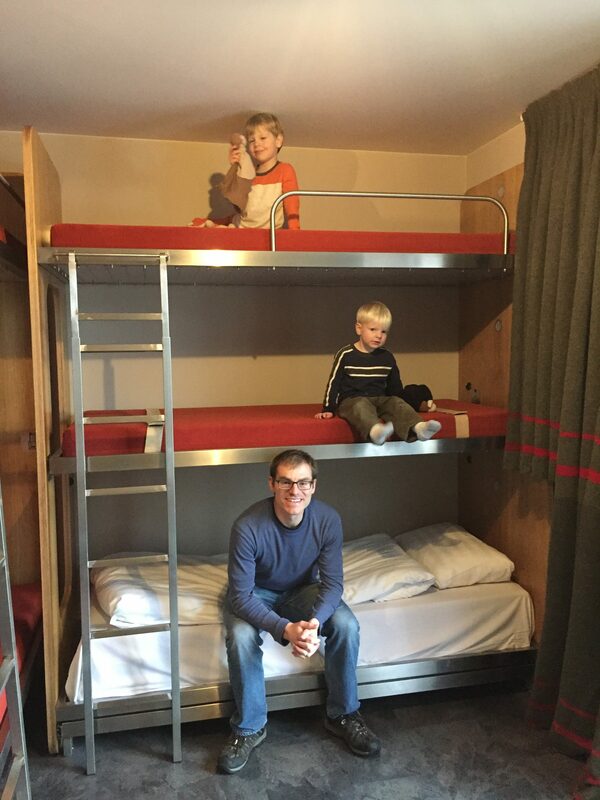 Cocomama Hostel has a family room as well as bunk rooms that are perfect for families.The Botel is also a fun option in an artistic corner of Amsterdam. Take advantage of local activities by checking out Amsterdam Mama’s for a list of whats on in town during your visit. 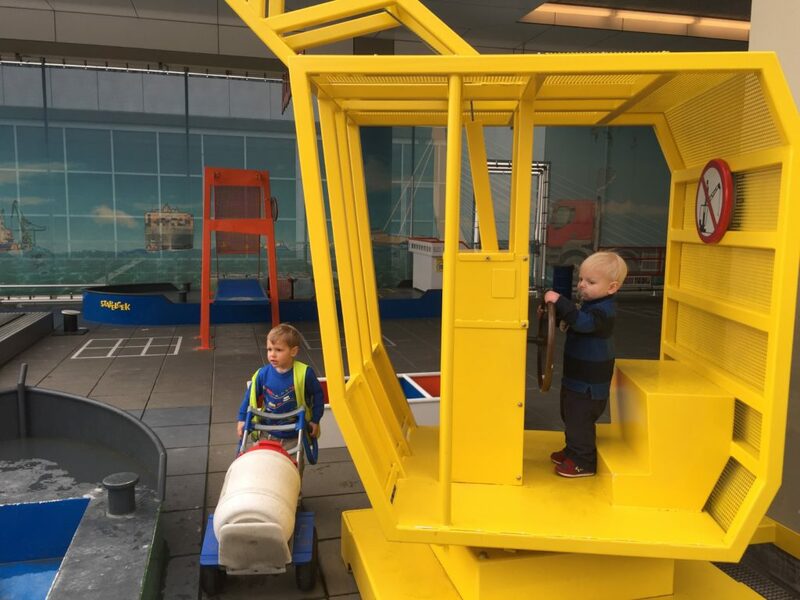 We love exploring the ships at the National Maritime Museum, where kids can win a prize for finding the treasure. The NEMO Science Museum is also perfect for kids. You won’t want to miss the ARTIS Zoo or Vondelpark. 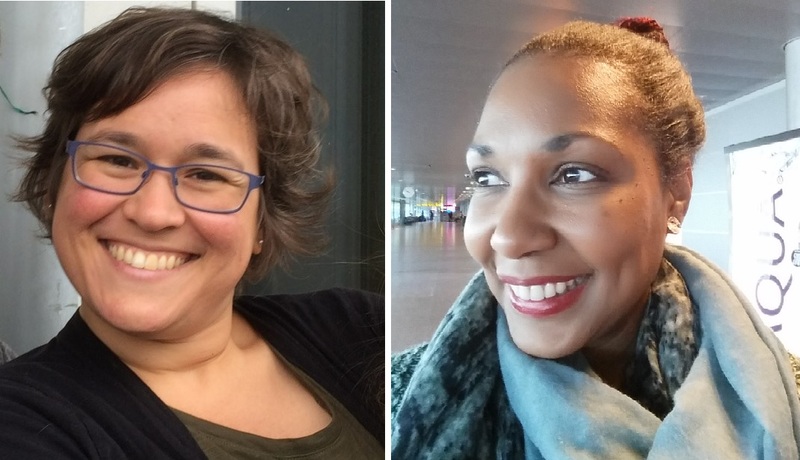 Of course Amsterdam is full of great playgrounds with cafes, just choose any one from the Amsterdam Mama’s list and you have the perfect outing. If you want to hit the water head out on the Pizza Cruise where you enjoy pizza and ice cream as you cruise through Amsterdam’s Canals. 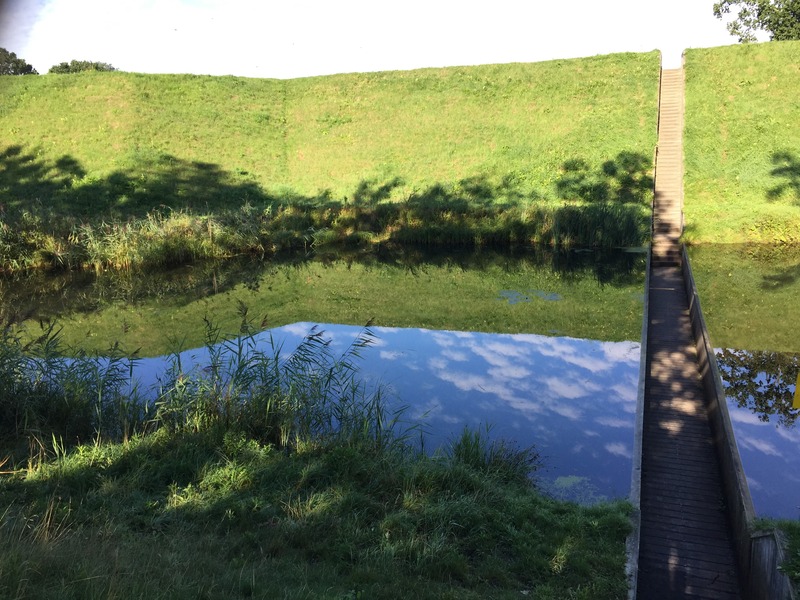 Head to Alphen Aan Den Rijn just 40 min from Delft and accessible by car and public transport. Stay at the Vander Valk Avifauna and be surrounded by a weekend of activities. Visit the birds and several excellent playgrounds at Avifauna, directly adjacent to the hotel. (The hotel has stay and play deals, so check online.) The dock just outside the park and hotel is host to river boat tours of varying themes from brunch to day trips to Gouda. Don’t miss Archeon a museum where history comes to life in several villages ranging from prehistoric to Roman towns. Alternatively spend a day biking around to the various parks. Forest Park is next to the petting zoo and has ample plant and bird life to explore. 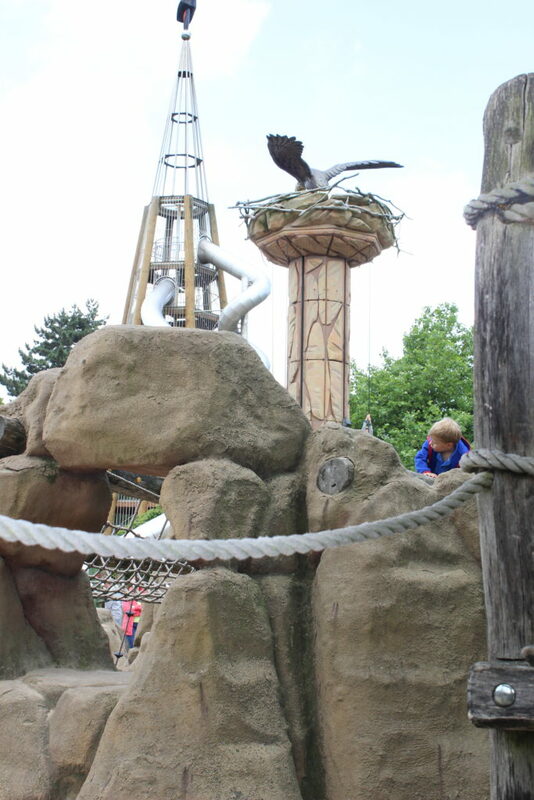 Europa Park is another great option with playgrounds for older and younger children. 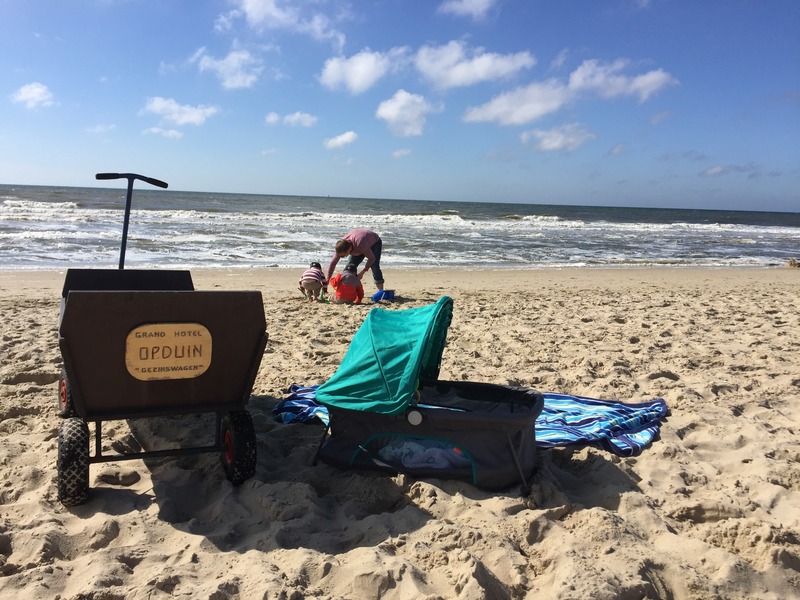 If you’re looking for more ideas stop by my blog, Dutch Dutch Goose, for more ideas on how to explore the Netherlands and beyond with kids. With warm weather (hopefully) just around the corner and the school summer holiday fast approaching, I’m busy working on my summer holiday bucket list. In addition to being a list of things I’d like to do with my two girls aged 7 and 5 while they are off school, it’s also a list of places to cool off when it’s hot. I love the beaches at Monster and Ter Heide, but being a redhead I miss the shade. We thus often opt for a local lake where we are more likely to find trees for me to hide under. If any of you, like me, start to wilt like fresh spinach in a pan when the thermometer rises above 25˚C, you may enjoy one of the options below. 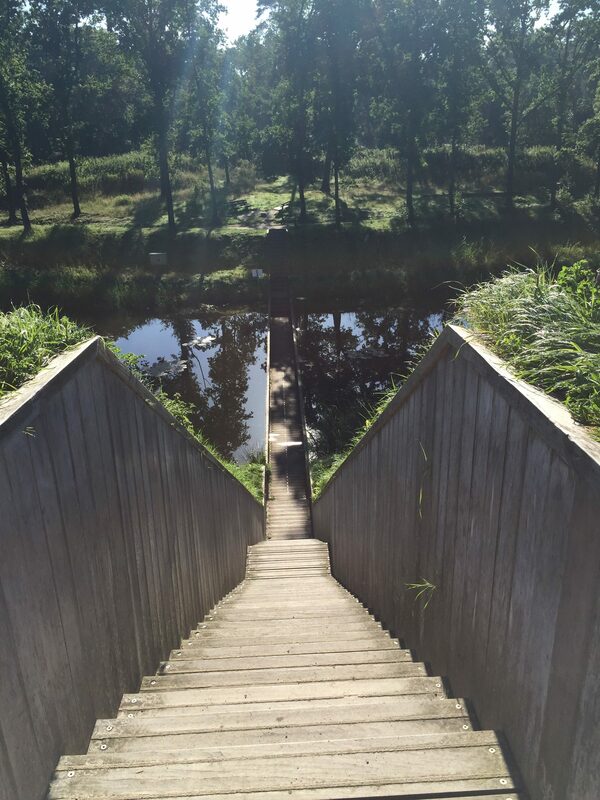 The Prinsenbos is one of my favourite places to go with the kids. Given that we live in Naaldwijk, it is very close by. It also just makes a lovely day out. 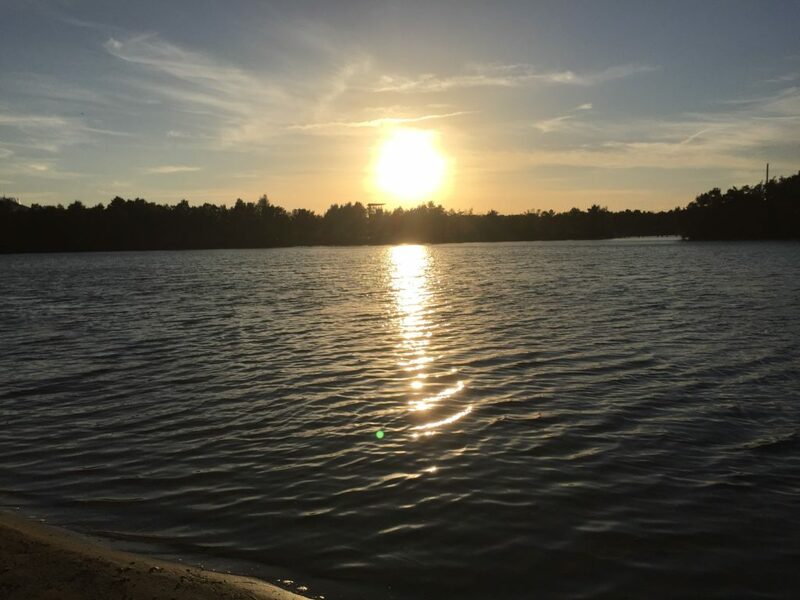 There is a small lake for swimming with a sandy beach and grass to sunbathe in. There is playground equipment and a small nature playground with a water pump on the other side of the parking area. There is nowhere to buy refreshments, but there are picnic tables to use and the ice cream man is often parked at the entrance. If you get tired of swimming, you can take a walk on the path around the lake, which is buggy and wheelchair friendly. The walk takes about 15 minutes at adult walking speed. The Madestein is a large park and recreational area in between Den Haag and Monster. There are a few entrances, but I normally enter and park on the Madepolderweg side, which is also where the restaurant ’t Brasserietje is. There is a large grassy area in front of the lake where you often see families gathering for BBQ picnics. The Wollebrand may be located directly behind a provincial highway, but once you are in the park you would never know. There is a sandy beach surrounding the swimming area with a grassy field behind where you can stretch out on a blanket and daydream an afternoon away. If you fancy a walk, there is a tree filled park behind the lake with walking trails. Directly on the beach is a modern restaurant with good food and a big deck overlooking the lake called the Wollebrand. If you are feeling adventurous, there is a cable water ski/wakeboard track on the lake. 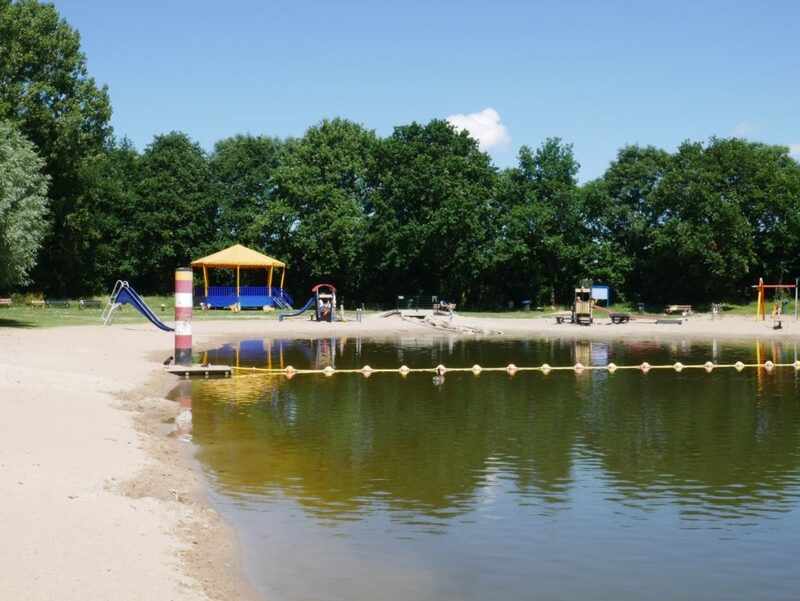 The Krabbeplas is a great lake for swimming and surfing located in a huge recreational park between Maassluis and Vlaardingen. There is playground equipment, a sandy beach, and a large grassy area for relaxing or picnicking. On the beach is a restaurant called the Krabbeplas. While it is a little outdated, it’s still a decent option if you don’t feel like cooking after a long day of playing in the water. What’s not to love about the Delftse Hout? 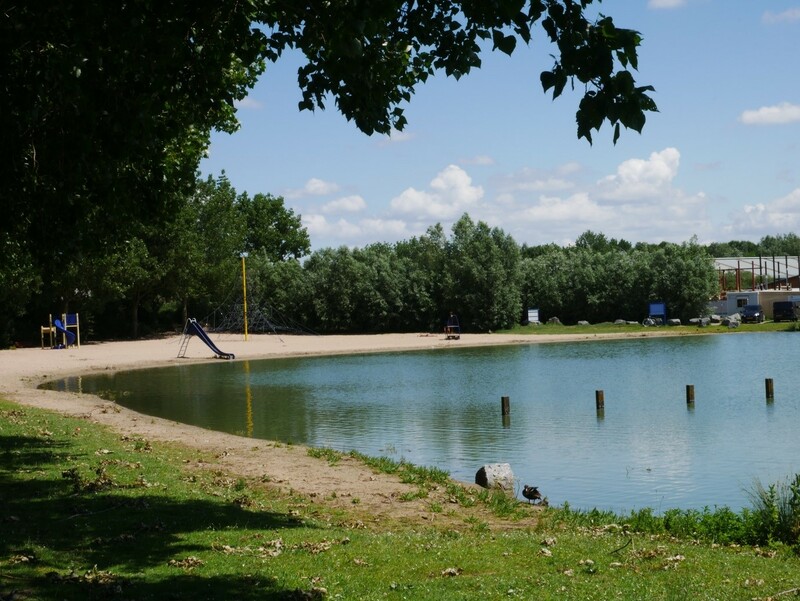 There are several options for swimming in the Delftse Hout, but the Grote Plas is the largest swimming lake in the park. With lots of sand to play in, shady trees to hide under, and grass to picnic in, it’s easy to while away a summer day. 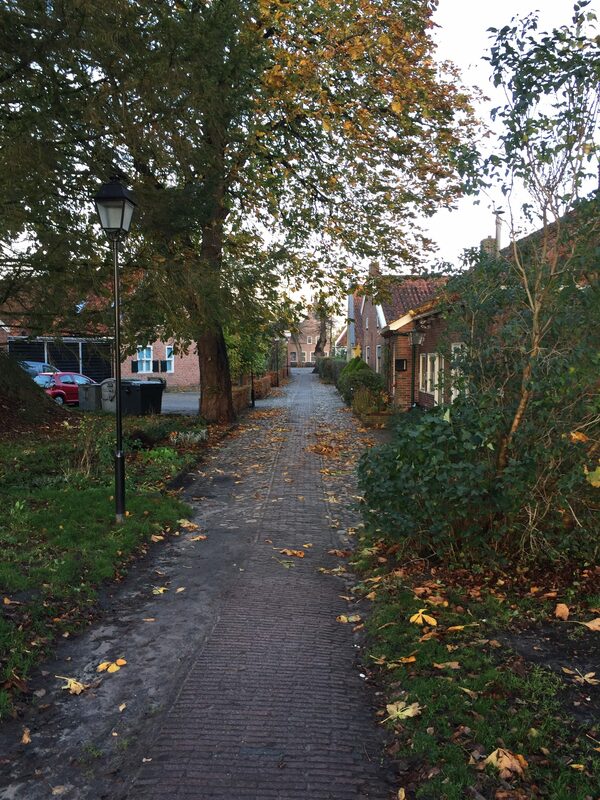 There are two options for restaurants in the Delftse Hout, Knus and Het Rieten Dak. For families, Knus is great. It is overlooking the lake further along from the beach and has a nice playground to keep the kids occupied while you enjoy a cool drink. Although the beach is not as nice as the Grote Plas, you can jump into the water right from the restaurant. They also offer waterbike and rowboat rentals by the hour. These last three lakes I haven’t visited yet but definitely plan to this summer. Maybe you have been and can tell us about it? A lovely and very shady place to spend an afternoon playing with water. There is a man-made creek with running water to float a toy boat down and go chasing after it. The stream ends in a small pool just deep enough to splash around in. There is playground equipment in the park and a petting zoo close by. Although there is enough to do for a family of all ages, I would say this is a particularly good option for toddlers simply because the water is very shallow. And here we are back in the Delftse Hout for the water park. You can find the entrance close to the petting zoo. There is a small entrance fee, but personally I think it is well worth it. The park is kept clean, and there are toilets and a small café on the premises. Since there are so many options here for playground equipment, water fun, and sandcastle building, it is easy to spend the whole day. Burying your sibling in the sand is optional. I haven’t been here yet but can’t wait to explore it or hear all about it from a Delft Mama. Unfortunately, a lot of the smaller lakes become infested with Blue Algae in the warm weather. The local government tests the water regularly and does make efforts to clean the water, but they are not always successful. If you want to make sure your lake of choice is safe to swim in before you go, see www.zwemwater.nl for the latest information.